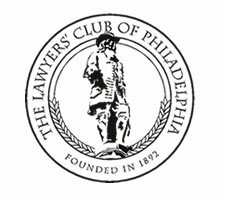 The Lawyers' Club of Philadelphia was born on July 9, 1892, when its charter was granted by Court of Common Pleas No. 4 of Philadelphia County. The Club was formed by a group of 18 outstanding lawyers. Originally, the lawyers were from all over, including Western Pennsylvania, New Jersey, New York, and even New Hampshire. Its first membership meeting was not held until almost a year later, on June 15, 1893, in the courtroom of its first President, Judge F. Carroll Brewster, of Court of Common Pleas No. 2, at Sixth and Chestnut Streets. The Club's first permanent quarters were in the now extinct Betz Building at Broad Street and South Penn Square, where it had not only a library, but a smoking room and committee rooms. Equally enterprising was the opening of the Club’s restaurant, with adjoining bar and billiard room. It maintained constant telephonic communications with the several courtrooms so that the members were at all times aware of the progress of the trial lists. In December 1896, the Club moved its quarters to 1336 Walnut Street where it remained until February 1904, when it moved to 1507 Walnut Street. Here it flourished for six years, when it leased the entire 17th floor of the Real Estate Trust Building. This was its last permanent quarters and, on March 1, 1912, the maintenance of its club rooms and library was discontinued. In pre-television days the Club actually had its own orchestra and provided entertainment at various receptions and smokers. Gradually, any type of formal entertainment has disappeared in favor of informality and the reception, cocktail-buffet format. Since the club room was discontinued, receptions are held at a variety of different sites. In its early days, the Club took an active interest in judicial administration, endorsing candidates for judicial vacancies and fostering legislation for additional courts and judges. But, since most of its members are drawn from the Philadelphia Bar Association, the Club has refrained from large scale activities in the fields embraced by the Bar Association. Instead, it has confined its efforts to the promotion of good fellowship and friendly social relations between the bench and the bar. Receptions for the Justices of the Supreme Court of Pennsylvania; Judges of the Superior Court of Pennsylvania; Judges of the Commonwealth Court; the Judiciary of the Courts of Common Pleas, Orphans' Court, and Municipal Court of Philadelphia; the United States District Court for the Eastern District of Pennsylvania; and the Judges of the Circuit Court of Appeals for the Third Circuit. Throughout its existence, the Club has maintained an aid fund which it has made available in the form of loans to needy members. The popularity and fine work of the Club, over the past 120 years, has been due, in no small part, to the excellence of the leadership of the past presidents of the Club and the sincere efforts by its Board of Governors to meet the changing needs of the times and of its members.